Specifies a title format script used for sorting when loading the iPod library into a foobar2000 playlist. Disables the preview of changes confirmation during a sync. 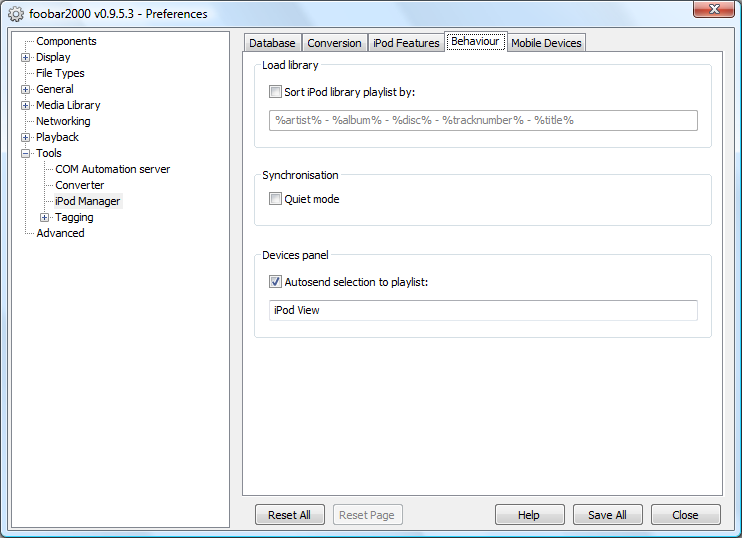 This option automatically send the current selection in the iPod Devices Panel to the specified foobar2000 playlist.